The country’s largest fast-moving consumer goods company Hindustan Unilever Limited (HUL) is eyeing newer product categories as it looks to reach a wider section of people as part of its new strategy aimed at “serving many Indias”. “We believe that serving many Indias essentially requires having a portfolio of brands that reaches a wider section, ensuring that everyone has access to our brands — rich or poor,” HUL’s Non-Executive Chairman Harish Manwani said in his speech at the firm’s 82nd annual general meeting in Mumbai on Monday. 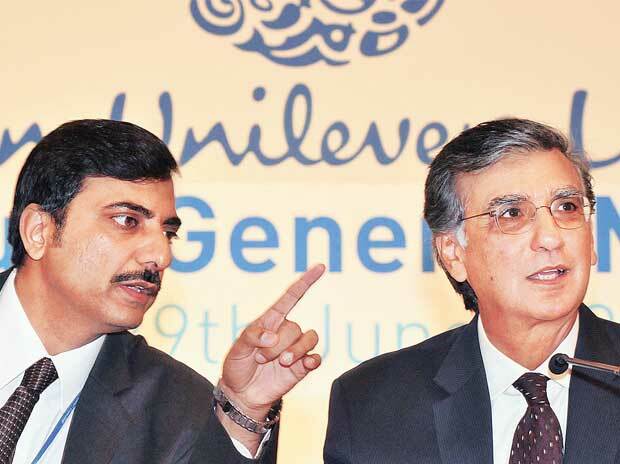 Manwani, however, refused to be drawn into a conversation on whether HUL was looking to buy ayurvedic brand Indulekha for Rs 500 crore, as suggested by media reports last week. Reports had said the transaction would mark the entry of HUL into the mergers and acquisitions space, something the company had abandoned in the last decade-and-a-half. Manwani indicated HUL had invested an additional capital of Rs 22.5 crore in the joint venture (JV) with American firm Kimberly-Clark for baby care and woman care. Formed in 1994, the 50:50 JV called Kimberly-Clark Lever Ltd makes Huggies diapers and Kotex sanitary napkins. Huggies is popular, ranked among the top-three brands in infant care in India. Other popular brands include Mamy Poko Pants from Japanese firm Unicharm and Pampers from Procter & Gamble. Manwani said the penetration of diapers in India was under 10 per cent, which provided the company the opportunity to explore this market even more. “We have embarked on another major organisational transformation, which is in line with our underlying objective of winning in all parts of business across channels and geographies,” Manwani said. Called Winning in Many Indias, the framework, Manwani explained, allowed the firm to segment the domestic market into 14 consumer clusters so customer needs could be addressed in a relevant way. “This organisational framework has driven us to explore innovative marketing initiatives, such as Kan Khajura Teshan, an on-demand entertainment channel in rural areas, and Be Beautiful, a beauty advisory platform,” he said. Marred by protests by activists and former workers of HUL’s Kodaikanal plant, Manwani, in response to shareholder queries, said the company was working to settle this dispute. “Our spirit is of resolution,” he said in response to a question on what the company was doing to compensate ex-workers of the now-shut thermometer plant, which has been accused of contaminating the environment, as well as exposing factory workers to high levels of mercury. “The matter is in the (Madras) High Court. And as far as remediaton of the soil goes, we will adhere to the standards told to us by the Tamil Nadu Pollution Control Board,” Manwani said. Among the resolutions moved at the AGM was the re-appointment of Manwani as non-executive chairman as well as raising the salary of non-executive directors to Rs 3 crore from Rs 1.5 crore.